Where do they pay lower taxes? A friend posted in Facebook yesterday’s Daily chart from The Economist; she was very disappointed of finding Hungary such high in the ranking. some country-specific information for several ones. 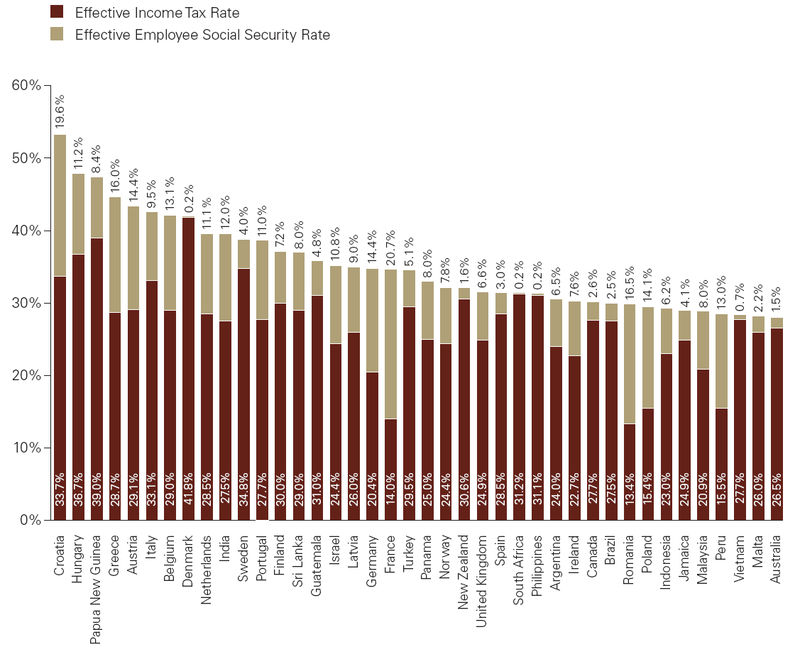 Effective Income Tax and Social Security rates. What if you could pay Social Security in Philippines (0.2%) and Income Tax in Romania (13.4%)?